Software development generates and maintains a wide range of artifacts, such as documentation, requirements, design models, and test scenarios; all of which add value to the understanding of the software system. Trace dependencies identify the relationships among these artifacts. They contribute to the better understanding of a software system as they link its distributed knowledge. Trace dependencies are also vital for many automated analyses including the impact of change and consistency checking. This chapter compares the problem of manual traceability versus automated traceability with the Trace/Analyzer approach. 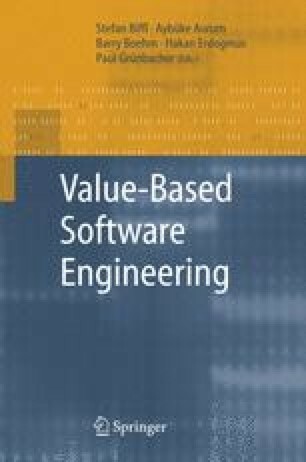 This chapter also explores how to tailor precision, completeness, correctness, and timeliness to adjust the trace analysis to value-based needs.